Phister and Philina by Pure Kids, the company which is also behind Racoon offers modern and playful clothing for boys and girls. 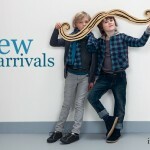 Pure Kids promises the highest quality, durable and contemporary children’s clothing. Pure Kids Wholesale A / S was founded in 2004 by Pernille Bentzen and they have their headquarters are outside Hillerød, Denmark. Since its inception the company has made good progress and is sold in many countries including The UK. 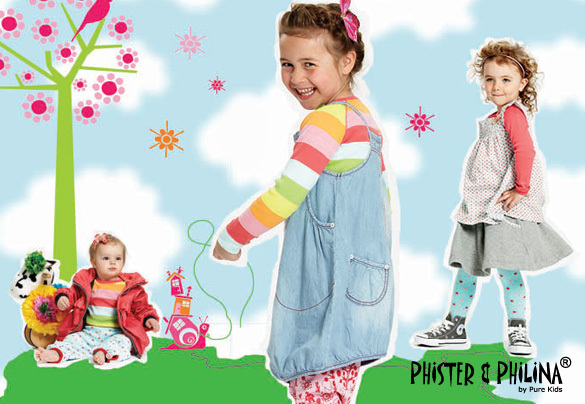 Phister & Philina® children’s clothes are fun and colorful, with modern design. The collections breathe colour and pattern. The clothing makes you happy. The sizes of many of the children’s clothes from Phister & Philina are marked by age, ie, 1 years old, 2 years old and so on. This differs from children’s clothing here in some other countries, where sizes are measured in centimetres, ie the height of the child. Since each child is unique and grows at different rates, it is sometimes difficult to know what size to buy for – especially when it comes to baby clothes.